As traded Scott Bench, which admittedly has seen a fair bit of use. The Hammer Strength brand name gives it some class, and if you have the talent to clean it up a bit and bring it back to life this purchase can be a real bargain buy. Contact us now to make it yours! Buy Hammer Strength Scott Bench online. 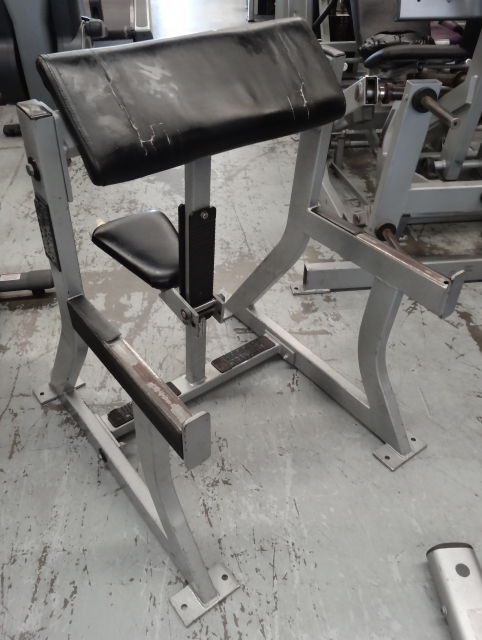 If you are interested in the Hammer Strength Scott Bench for sale, feel free to enquire above.